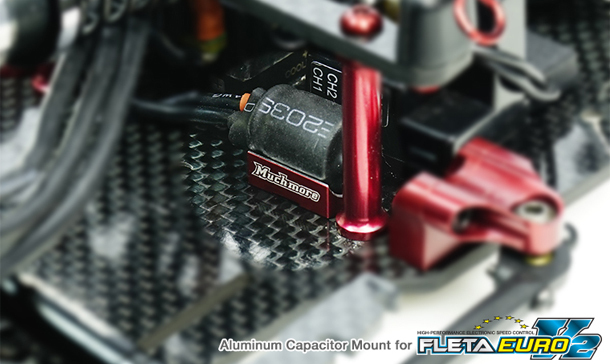 Home › Blog › Muchmore Aluminum Capacitor Mount for FLETA EURO V2 now available @ Quantum! 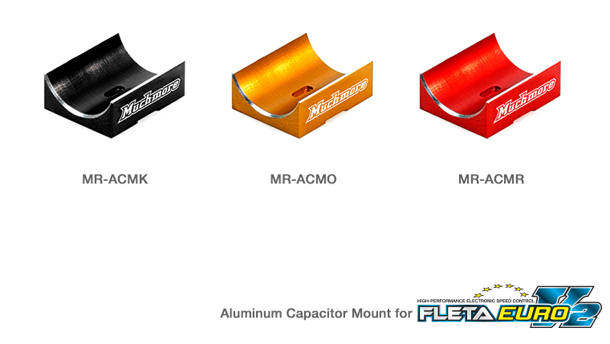 Muchmore Racing Aluminum Capacitor Mount for FLETA EURO V2 is available in 3 colors (Black, Orange, Red). 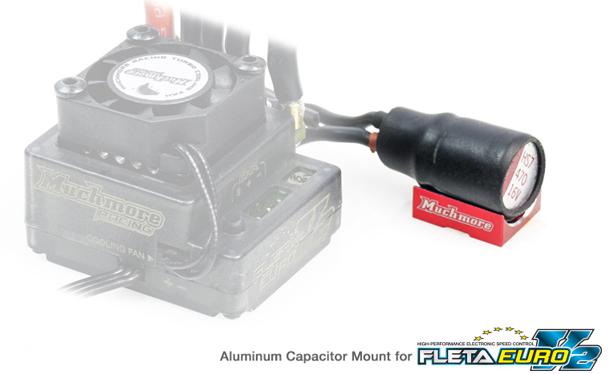 Use it by attaching it to a capacitor as shown in the picture (You can also attach using double-sided tape or glue). Super lightweight design does not affect vehicle setup.